It’s a process of ground-up regeneration, but without any checks and balances to guard against excess, it ends up destroying the character of the neighbourhood in the same way as any top-down redevelopment project. 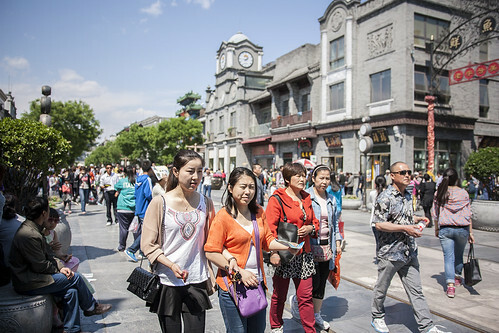 Well, maybe not entirely — for an example of complete eradication of a formerly distinctive area, you need only look at Qianmen Avenue, a busy commercial artery that runs south from Tiananmen Square. Many of Beijing’s cultural treasures — including Peking opera and roast duck — trace their origins to the area. With such a venerable history, it was only natural that the Beijing government decided to tear the neighbourhood down before the 2008 Olympics. Of course, this wasn’t destruction for the sake of a run-of-the-mill shopping mall, but something grander — “modern antiquity” in the words of the Financial Times. Blocks of commercial buildings and old hutong houses were demolished and replaced by a pseudo-historical theme park inspired by what somebody imagined the district looked like in the Qing Dynasty. 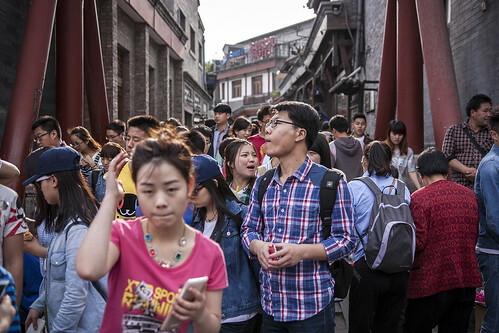 Six years later, Qianmen Avenue bustles with tourists, but it’s hard to escape the Disneyland feel, especially when you venture off to one of the sidestreets, which are still lined by empty shop spaces. Apparently, the new development has been so unpopular with businesses that the local government has had to offer multinational chain stores a rent subsidy in order to lure them into the area. On the upside, Qianmen is so widely loathed that it has become a cautionary tale for even the government. “It’s really clearly understood that it is not a successful model,” says Gaddes. 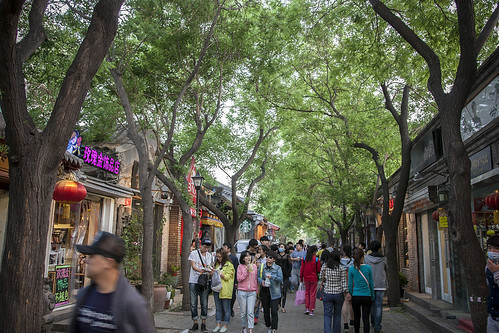 Like the American backlash against urban renewal in the 1960s, Qianmen has served as a catalyst for an alternative kind of regeneration, which can be seen just a few blocks to the west, in the ancient neighbourhood of Dashilar. 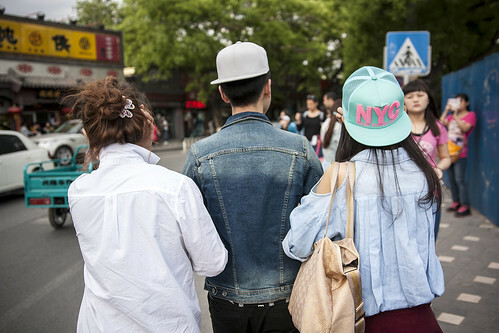 “Nanluoguxiang and Qianmen, they’re opposite ends of the spectrum — one is completely top down and the other is no-regulation, bottom-up,” says Gaddes. “What we’re trying to do in Dashilar is negotiate the good aspects of both bottom-up and top-down.” More on that in the next and final installment of this three-part series. 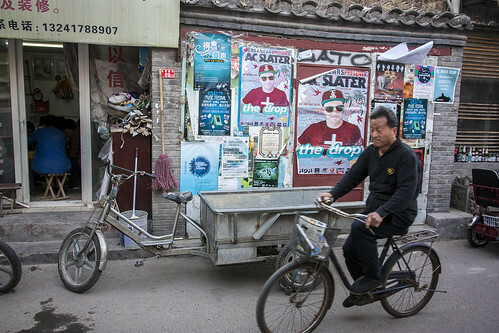 This entry was written by Christopher DeWolf , posted on Monday July 07 2014at 12:07 am , filed under Architecture, Art and Design, Asia Pacific, Heritage and Preservation, Public Space, Society and Culture and tagged Beijing, China, Conservation, Dashilar, Exploring the City, Gentrification, Hutongs, Nanluoguxiang, New Life in Old Beijing, Preservation, Redevelopment, Urban Renewal . Bookmark the permalink . Post a comment below or leave a trackback: Trackback URL.